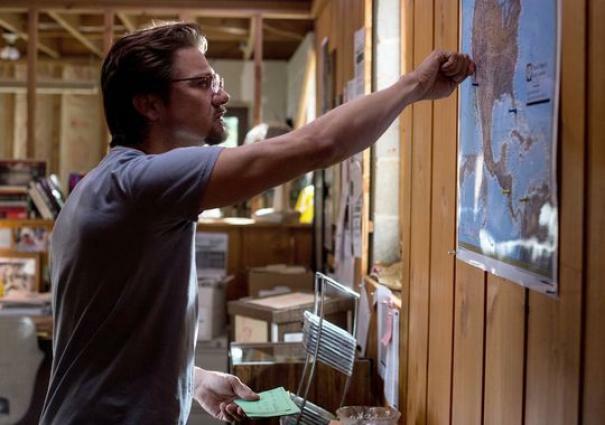 Focus Features announced today that Kill the Messenger, starring Jeremy Renner (Marvel’s The Avengers, The Bourne Legacy), will be released on October 10, 2014 in limited theaters. The movie will then expand on October 17 and again on October 24. The dramatic thriller is based on the remarkable true story of Pulitzer Prize-winning journalist Gary Webb. Webb (Renner) stumbles onto a story which leads to allegations that the CIA was aware of major dealers who were smuggling cocaine into the U.S., and using the profits to arm rebels fighting in Nicaragua. Webb keeps digging to uncover a conspiracy with explosive implications ? and draws the kind of attention that threatens not just his career, but his family and his life. Josh Close, Rosemarie DeWitt, Andy Garcia, Lucas Hedges, Tim Blake Nelson, Robert Patrick, Barry Pepper, Oliver Platt, Michael Sheen, Paz Vega, Michael Kenneth Wiliams and Mary Elizabeth Winstead co-star in the Michael Cuesta-directed film.